Of all the non-porous substrates, plastic is one of the most challenging to work with – and we should know. In addition to our family of resins, DSM is also a plastic and polyamide pioneer with a deep understanding and knowledge of the substrate and the lamination technologies increasingly used in flexible packaging. “Understanding plastics and how they behave in multi-layer, multi-resin flexible packaging applications is a huge focus area for us now from a scientific standpoint. If the temperature and humidity aren’t exactly right, you have a problem – and much of our work is about using all the technology and experience at our disposal to ensure these problems don’t occur. This doesn’t just apply to flexible packaging, of course, but to all applications where we’re using a plastic substrate." For example, we were recently investigating film coatings used on a customer’s BOPET packaging where the primer layer, which had been stretched to fit, was showing up hazy toward the edge of the packaging. When I looked under the microscope, I saw that the lines were dense, like stretch marks in skin. Could this have happened because of the speed of that process? Yes, as it turned out – and, importantly, the stretch marks could be avoided by fine-tuning the stretching conditions. However, I also saw small dents in the foil that gave a hazy appearance. We found out that these were caused by the surface of the storage plateau in the factory. The customer could easily use a smoother plate, and the result was a lot better!" No matter how great our intentions, we cannot achieve a more sustainable plastic packaging industry on our own – especially when it comes to recycling. This requires an industry-wide effort. Which is why, at DSM, we’re a proud member of CEFLEX – a European consortium of companies representing the entire flexible packaging value chain. We work together to identify new ways of designing packaging and look at likely applications for its re-use. Our 2025 target is to have a clear infrastructure for the collection, sorting and reprocessing of used flexible packaging in Europe. 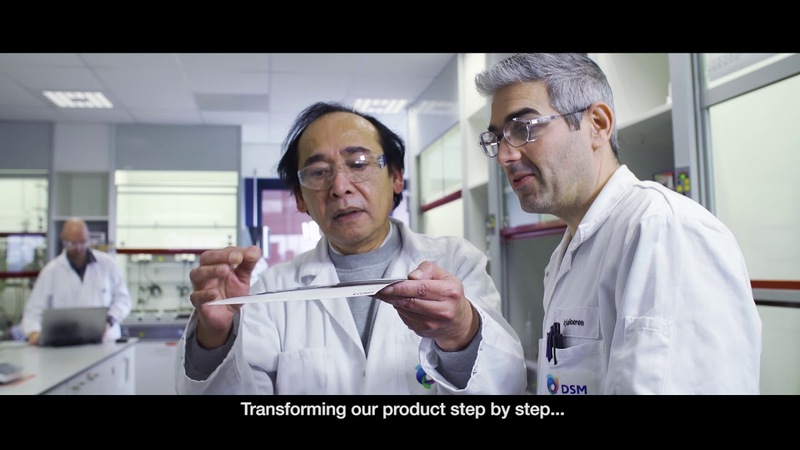 At DSM we create more than just resin systems. We produce a wide range of performance materials worldwide. Our Engineering Plastics business, for example, has worked hand-in-hand with OEMs for decades to create lighter, safer, greener, and more efficient cars. This combined knowledge of materials science - and the automotive applications where it’s applied – helps us to continue moving the innovation needle away from two-component systems coating systems.